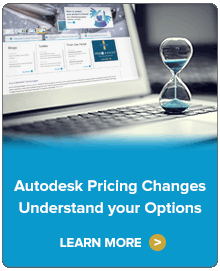 Autodesk® Vault data management software, part of the Autodesk solution for Digital Prototyping, helps users organize, manage, and track design, engineering, and simulation data and documentation. Get more control over your designs with revision management capabilities and quickly find and reuse data for better management of your design and engineering projects. Whether your team sits in the same office or across multiple sites, Autodesk Vault helps you collaborate more effectively and share information with other departments, maximizing the value of your design data. Autodesk Vault technology is directly integrated with Autodesk® design applications, including Autodesk® AutoCAD®, Autodesk® Inventor®, Autodesk® AutoCAD® Civil 3D® and Autodesk® Revit® software, enabling you to manage your data without changing the way you work. Need to Load Clean Data into a Data Management System? This case study explains how a State National Guard organization worked with IMAGINiT to improve their processes which resulted in greater efficiency across the entire operation. View this whitepaper to learn the workaround for email notification error: 5.7.57 SMTP in Vault Professional. Often when PDFs are checked into Autodesk Vault, the need arises to search for specific text in the PDF. By default, text searches are not enabled for non-CAD files like a PDF. This whitepaper details specific steps that have been confirmed to allow specific text to be searched for and located in vaulted PDFs. This whitepaper and worksheet talk about workflows involved with civil data management and walks through questions all firms should ask when it comes to a variety of issues surrounding data management. This is the first part of a multi-part paper adapted from the class: Unlocking the Power of the Job Processor presented at Autodesk University 2014. 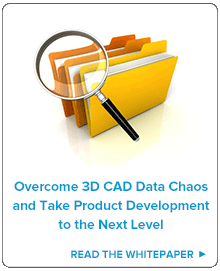 This section contains an overview of the Job Processor and how it can automate tasks commonly performed manually by CAD users. Job Processor configuration and setting up the job user to begin automating common Vault tasks is also discussed.